Michelle has lived and worked in SE London for 15 years, running art classes and workshops for young asylum seekers, people recovering from brain injuries, families of children with special educational needs and young people excluded from education. 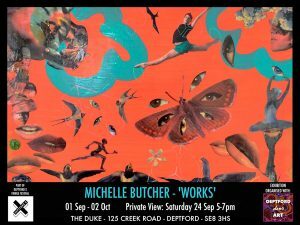 Over the last ten years she has worked from studios in St Paul’s House and Old Tidemill School (Extractor Space) in Deptford. “I made these dreamlike montages by juxtaposing collected images of wildlife, dancers and figures from 1970s massage textbooks. I tried to create a sense of playfulness, movement and sensuality”. 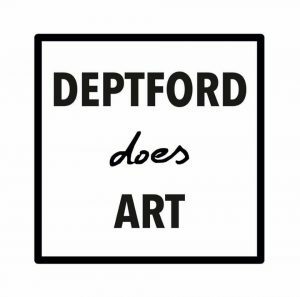 Her exhibition ‘Works’ was part of Deptford X Fringe Festival 2016.